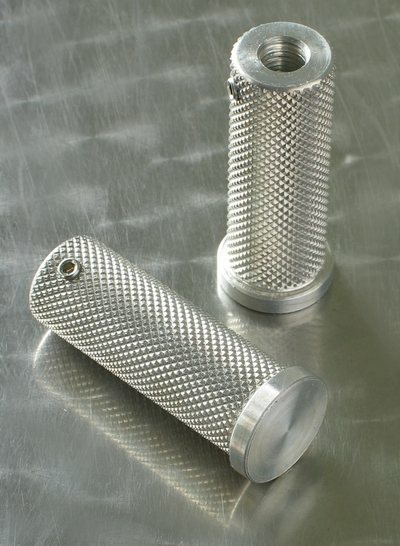 These knurled billet alloy pillion foot-pegs thread on to the lower shock mounting studs and are secured with allen set screws. They allow the removal of the bulky stock pillion foot-pegs. Designed for the Yamaha SR500 / SR400, they should also work on many other models with 10mm fine thread shock studs.